What Are The Effects Of Huffing On The Brain And Body? This entry was posted in Substance Abuse and tagged Adolescents, Preventing Misuse, Signs and Symptoms on August 16, 2016 by Team Addiction Hope. Though most people are aware of the hazards of drug use and addiction, many are unaware of legal intoxicants in their own home that can also lead to addiction. 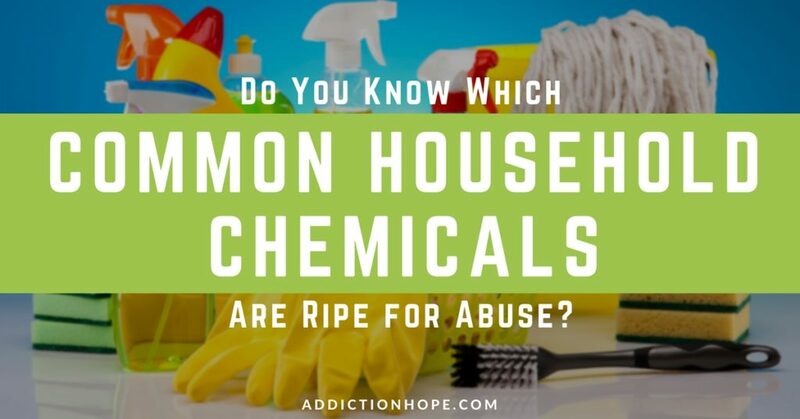 Unfortunately, teens and even pre-teens are using household chemicals to get high, often with tragic results. Called inhalants, these chemicals can result in deadly reactions. Inhalants come in four main forms. Three of them – volatile solvents, aerosols and gases – are used because of their ability to change the user’s mood, resulting in a high. Some users inhale nitrites, the fourth group, for their apparent sexual stimulation. Each of these four categories of substances is found in a variety of everyday products. Volatile solvents are the first category: They are characterized by how their structure changes from a liquid to a gas. These chemicals are liquids when stored in sealed containers. At room temperature, however, they quickly evaporate into powerful gases. Because these items are easily accessed, younger children, often between the ages of 12 and 15, use these chemicals most prominently. Kids often abuse aerosols. Some aerosols are more difficult to procure than volatile solvents, but others are easier, depending on the home. Hairspray, spray paint and even cooking sprays can all be used to elicit a reaction. A rule of thumb is that if it sprays from a can, it has the potential to be very dangerous. The third category of inhalants, gases, is most prevalent among older teens around 16 or 17. These drugs are especially prevalent among new users, due to their easy availability. Also, gases are generally stronger than aerosols or solvents. In this category, drugs can range from ether and nitrous oxide to butane lighters and refrigerants. Butyl nitrite, amyl nitrite and cyclohexyl nitrite make up the category called nitrites. Certain room deodorizers and capsules contain these vapors. When they’re snapped opened, fumes are released into the air. Because of this, they’re commonly referred to as “poppers.” Adults are generally the most common abusers of this type of inhalant. In national surveys, an astonishing 21.7 million Americans over the age of 11 have reported that they had used inhalants at least once. While the risks are, of course, greater for those who expose themselves to the chemicals regularly, even a single instance can lead to extreme consequences, including death. Nitrites, on the other hand, affect the body very differently. They are vasodilators, meaning they relax the muscles and allow blood vessels to open. This, in turn, can increase sexual pleasure. Most nitrite users are adults. Using these drugs can cause syncope, involuntary urination or defecation, hypotension and weakness. The use of any inhalant will likely have some adverse side effects, but there are much greater consequences possible. The use of an inhalant can cause instant death – no matter how many times the user has taken the drug before. Sudden sniffing death syndrome, or SSDS, for example, can strike at any time and without warning. It causes the heart to fail, even in the youngest and healthiest users. SSDS is not the only way that using an inhalant can end a life. Asphyxia, suffocation, choking, convulsions, coma and fatal accidents can be caused by abusing these substances. Approximately 100 to 200 people die each year from complications of or directly resulting from inhalant usage. Because even one incident with inhalants can be fatal, it’s vital that parents and educators place a focus on preventing their use in the first place, and at the very least watch for signs of abuse. Education is an important first step, and it is never too early to teach children why they should avoid these substances. Many educational programs regarding drug use focus on illegal drugs and often neglect discussing the dangerous chemicals at home. Parents should also remember that children learn by watching actions more than listening to instructions. Setting a good example is just as important as teaching children about drugs. It’s also a good idea to keep tabs on any inhalants in your home or garage. If you create an inventory ahead of time, you’ll be able to notice missing or overused substances. Don’t rely on your child’s school for education regarding substance abuse. Reach out to your child directly. Make sure you’re always willing to listen, and they’ll be more likely to come to you with future problems. Take time to meet their friends and follow up on their activities outside and inside the home. Keep an eye on their smart devices as well. Inhalant usage is a serious matter, one that requires proper attention and dedication from parents and family members. Getting an early start and showing affection and concern are great tools to help steer your children in the right direction, but there are always new ways to tackle the subject. Which strategies would/do you use to prevent your teen from huffing? Please share your insight below.